Those seeking the finest in elegant architecture and a luxury lifestyle will find it in on the exclusive Brickell Key at Asia. Designed by J. Scott Architecture, this Asian inspired beauty rises 40 stories in height due to the standard twelve foot ceiling height in all its mere 123 residences. Sitting along the waters edge on the northern shoreline of Brickell Key Island overlooking the stunning Miami skyline and waterway, Asia’s attractive green glass façade accented by patina copper detailing is a striking image. Asia's luxurious amenities include a grand lobby overlooking the water, private elevators, touch screen lifestyle management technology, multiple pools, fitness center, tennis, valet, and concierge. The private Brickell Key location offers shops, dining, an art accented bay walk, and the five star Mandarin Oriental hotel. Residence features include Subzero refrigerators, Meile appliances, granite countertops, spacious walk in closets, and portable touch screen consoles to access the buildings services and amenities. Spectacular unit in Asia, Brickell Keys premier luxury building, remodeled in 2016. Soaring 12 ft ceilings and breathtaking views of Biscayne Bay. Private elevator entrance and vestibule. Private storage on same floor in service hallway. Only two units on the 8th floor with an outdoor breezeway separating them. 2 bedrooms + den. Completely remodeled Master Bath with free standing tub & large double rain shower. New wallpaper throughout and wood in entry and front hallway. Updated kitchen features unobstructed water views, Miele and subzero appliances. Soffits feature hidden electric blinds and recessed lighting. Full service building boasts private tennis courts, 24 hour concierge, racquet ball & basketball court, gym. Enjoy the restaurants, marketplace, parks and playgrounds. Impeccably decorated and furnished turnkey unit in the premier luxury building Asia on Brickell Key. Luminaire furnishings, 12ft ceilings & exquisite stone floors, open living & dining areas with amazing views over Biscayne Bay, private elevator. Snaidero designed chefs style kitchen w/top of the line Miele & Sub-Zero appliances, incl. a wine cooler, built-in cappuccino & espresso maker. Spacious master suite with step-out terrace access & amazing sunrise views, magnificent views from all rooms. Feels like you are floating above Biscayne Bay. Bldg amenities incl. : a resistance pool, pool, Jacuzzi, gym, wellness center, racquetball, private tennis court, party room, 24hr concierge service, guest valet parking & more. Excluded from sale: tapestry, sound speakers & personal items. 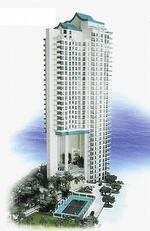 Prestigious Asia condo building in exclusive Brickell Key. Catch the sunrise as cruise ships depart watching dolphins & manatees passing by. High impact floor to ceiling windows and 12 feet ceilings. This 2 bedroom + office residence has two expansive wrap-around terraces that allow alfresco drinks & dinning with 180 degree views of Biscayne bay, ocean and Miami city lights. Gourmet kitchen and amazing amenities. Two assigned parking spaces and storage on the same floor. Master bedroom and 2nd bedroom hav ocean/bay/city views and sit on separate terraces. Kitchen has Italian countertops, wine cooler, miele uilt in espresso machine, ovens, new cooktop, sub-zero refrigerator, microwave, This 123 unit building includes 24/7 concierge,pool,sauna, top-notch gym & party room. 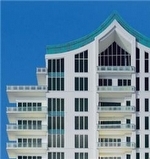 The most luxurious building on exclusive Brickell Key. The most desirable 2 bedroom in the building. Exaggerated 12 foot high ceilings. Incredible marble floors throughout chefs style kitchen. Bosch washer and dryer, 15 inch TV embedded in master bath mirror. Racquetball court, tennis court, resistance pool, and fully equipped fitness center. Incredible day and night views from this spectacular home in the sky. Completely renovated 3/3.5 at Asia building. Private elevator, foyer, ceilings soaring upwards of 12 ft and 2,065 sqft. Interior space, amazing & skyline views from every window. Unit has been elegantly finished w/ contemporary high end lighting, surround sound system. Italian cement Grilio Bianco porcelain floors throughout. Total ceiling change w/ modern design, WAC lighting 3000k Aether ceiling Luminaires, baseboard of Santaluzia Brazil. Italian Cuisine Scavolini, open kitchen with sub-zero appliances. Bath, toilet & Bidet De Duravit. Aquabrass faucets & showers. Sound System Sonance & stealth Acoustics. Domatica De Lutron & Control 4, Italian Poliform closets, secret Italian doors without Barausse frame, elegant showers bath mirrors & glasses, indirect light throughout the apartment. Magnificent luxury condominium in the most gorgeous newest building in the exclusive Brickell Key. Spectacular views and finished. Unsurpassed amenities including state-of-the-art fitness center, tennis and racquetball courts, pool, sauna , jacuzzi and more. Two parking spaces and a storage included. Furniture negotiable. 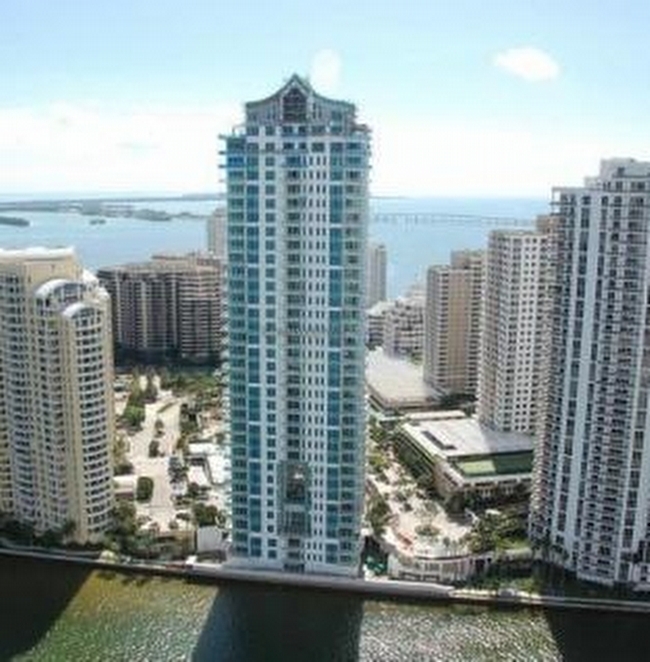 Meticulously maintained corner residence in the most upscale building in Brickell Key. 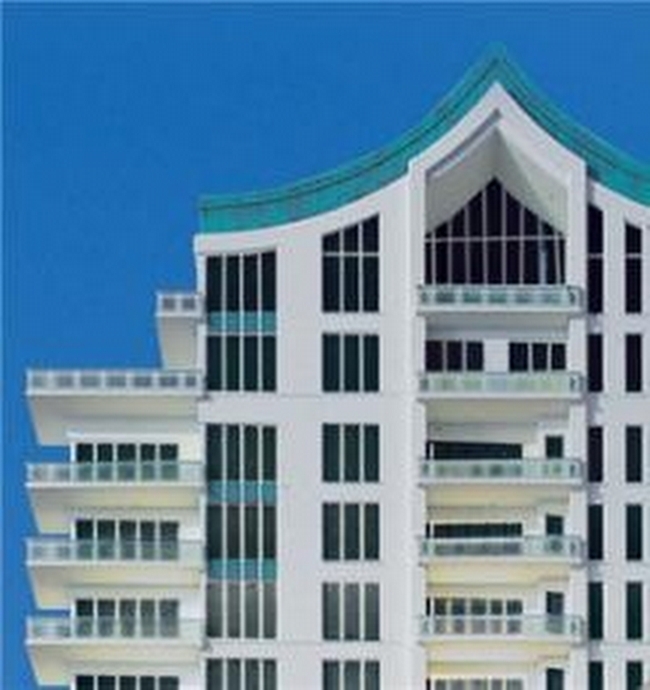 With only 123 residences & access to your own private elevator landing, it assures you precious privacy. Enjoy expansive views of the bay, river, Downtown & Port of Miami.Featuring 12 ft ceilings, 24X24 marble floors throughout,window treatments,California type closets,top of the line kitchen w/sycamore italian cabinets & kashmir white granite, Subzero refrigerator in harmonized paneling, Miele appliances,built-in espresso maker & wine cooler. Luxe master bath overlooking the bay and en-suite second baths. Generous private storage in the same floor & 2 side by side parking spaces.Building w/tennis, basketball & racquetball courts, resistance pool, sauna, exercise room,24 hrs concierge, valet & security. Ask your agent to send you the video tour linkUltra high end Luxury Penthouse in the newest and most exclusive building in the isle of Brickell Key. Top multi floor unit. Private Pool & deck. In unit private elevator. 3 Living Rooms. Building Fingerprint secure elevator that opens into foyer of your unit. Designed and completed by top designers at Finish My Condo. 4'X4' white tiles, custom ceilings and lighting. Unit speakers throughout unit. Security Cameras in unit. Lighting, Climate, Sound, Entertainment, Cameras and controlled by Control 4 App and touch screens located in different areas of unit. Unit also comes with 3 Storage units, 4 AC zones, 2 assigned parking and free valet parking for additional car. This unit is the top center of the building.Be a part of the City Skyline! ASIA RESIDENCE FEATURES A PRIVATE ELEVATOR. 12 FOOT CEILING, GLASS BALCONIES AND FLOOR-TO-CEILING WINDOWS. MAGNIFICENT WATER VIEWS. 4 BEDROOM, 5.5 BATH UNIT WITH MAID QUARTERS OR EXERCISE ROOM, DEN OR MEDIA ROOM, AND SEPARATE LAUNDRY WITH SERVICE ENTRANCE. TOP OF THE LINE STAINLESS STEEL APPLIANCES INCLUDING WINE COOLER AND CAPPUCCINO MAKER. STORAGE AND 2 PARKING SPACES. EASY TO SHOW. Amazing! 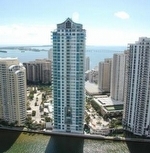 A must see corner unit, most exclusive building on Brickell Key nicely done. 3 bedroom + maid's quarters, 4.5 baths, living, family and dining room. 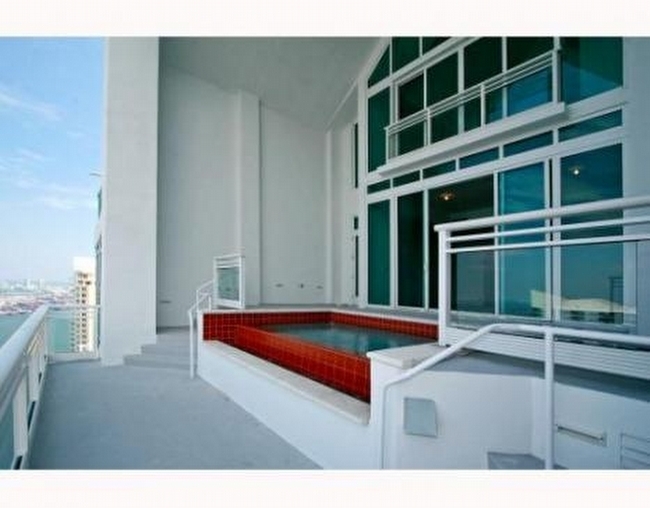 4 balconies with fantastic views of the bay, intracoastal, ocean and Miami skyline. Marble floors throughout, custom wall designs coverings, high-end decor, high ceilings, beautiful kitchen, private elevator, tennis court and superb amenities! Custom, combined unit is a paradise in the sky completed w/highest quality craftsmanship for the most discerning buyer. Located on rarely available 25th floor in the most sought after line in the building, enjoy sweeping views of the ocean, Government Cut, Fisher Island, Downtown Miami & Miami Beach from every room. No expense spared in this one-of-a-kind unit with smart home technology,custom flr plan,4 balconies, Gourmet Kitchen w/SubZero/Miele appliances & incredible custom finishes throughout. Palacia home in the sky in the most luxurious building in Brickell key.This formal residence features private elevator and 12Ft. ceilings throughout.Chef Style kitchen.Spectacular Biscayne Bay views from this 23rd floor unit overlooking Brickell key. Asia is Brickell Key most Luxurious Building!! !Available for the first time for rent. This is an oversized 2 bedroom, 2.5 bathroom with private elevators, 12FT Ceiling, top of the line kitchen and baths. Private storage at the same floor. Full service building with lots of amenities. Easy to show. MODERN, BRIGHT & OPEN UNIT FEATURES PRIVATE ELEVATOR ENTRY, SPLIT FLOOR PLAN INCLUDING OPEN KITCHEN W/TOP OF THE LINE APPLIANCES, 12 FT CEILINGS, FLOOR TO CEILING WINDOWS, MARBLE FLOORS, AUTOMATED LUTRON LIGHTING & SHADES, SEPARATE STORAGE ROOM & SWEEPING PANORAMIC VIEWS OF BISCAYNE BAY, MIAMI RIVER, DOWNTOWN MIAMI AND EAST VIEWS TOWARDS MIAMI BEACH. ELEGANT 123 UNIT BOUTIQUE BUILDING FEATURES TENNIS COURTS, GORGEOUS POOL AREA, RESISTANCE POOL, SPA, GYM & WELLNESS CENTER, 24 HR CONCIERGE & SECURITY. BRICKELL KEY LOCATION IS A SERENE OASIS CLOSE TO SOME OF THE BEST DINING AND SHOPPING IN MIAMI. Spectacular 2 bedroom, and 2.5 bath in the prestigious Asia in Brickell Key. Private elevator, High ceilings, top finishes through out, with marble floors, customized lighting, wood doors, electrical blackout curtains in the bedrooms, and electrical shades in the living room, customized walking closet, elegant & classic wall paper. 2 parking spaces - Tandem. storage on the same floor.Many upgrades - Must see. 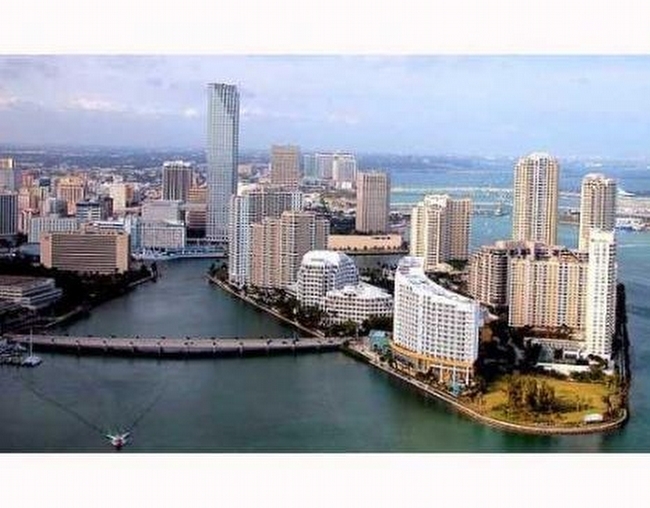 Asia is Brickell Key's premier bldg with only 123 units, spectacular direct water & city views from this private island setting in the center of Miami. Units have soaring 12 ft. Ceilings, private elevtaors, top of the line kitchen and baths included, flat screen TV in master bath, private storage on same floor as unit. The bldg has tennis, racquetball, fitness center, resistance pool, sauna, jacuzzi & pool.